and irritation. With the average person sweating up to a litre of moisture every hour during exercise, this area of our body is blooming hardworking. Often antiperspirants can be harsh on skin, thanks to the inclusion of everything from alcohol to heavy fragrance, exacerbating the situation and leaving our underarms feeling less than sassy. Although most of the time they’re hidden under clothing (or just because we don’t generally tend to walk around with our arms in the air!) our armpits are just as important as every other area of the body – if not more so, as they’re essential in the elimination of toxins and work a treat at keeping us cool. As the weather heats up and we’re once again ready to embrace the strappy dress and sleeveless top, the uncomfortable subject of sweating is also top of the agenda. Although sweat itself has no odour, the bacteria that sits on the surface of skin and break down sweat into acids does; which is where an effective and bacteria tackling antiperspirant comes into play. Cleansing your underarms effectively every day is super important in the fight against body odour (helping to remove the build up of product and bacteria, which can prevent our pits from operating properly) as is an effective and reliable antiperspirant to control the flow of sweat and reduce the stinky bacteria on the surface. Without loving care, our underarms won’t be able to rid the body of damaging toxins or cool us down when we need it most. Dove has created a formula that not only ticks those boxes, but helps to provide deep nourishment and faster repair for more comfortable and confidence inspiring pits. Their formula is enriched with 1/4 moisturising cream to replenish lost moisture and aid the repair of this delicate skin, after its been exposed to damaging hair removal process and our exhausting daily regimes, but now features even more hydration to treat this delicate area with the ultimate care. (Read my previous post here for more info!) Lubrication is such an important part of any beauty regime, as our bodies are exposed to moisture zapping activities every single day; but why should that stop at your face or limbs? Our ‘pits may not be at the forefront of our minds on a daily basis (how many of us just spray or roll on some deodorant without thinking twice?) but it’s just as important to ensure they’re hydrated and healthy in order for them to work effectively. I’m not saying we should be slathering our underarms with our expensive face creams or giving them a weekly pamper (although there are some incredible armpit masks which aid the elimination of toxins – I totally need to get on board with those!) but if you can switch up your deodorant for an alternative that helps to keep this part of your body in check, why would you not? We don’t think twice about conditioning our hair, applying body lotion in the morning, or ensuring we pop on a night treatment before bed, but keeping your underarms in check seems a little out of the ordinary. Using a Dove antiperspirant ensures our underarms are nourished and protected, while preventing the appearance of unwelcome odours during the warmer season; it’s a simple and effective way to look after this often neglected area of the body, without having to even think about it. Raise your arm (and reveal your ‘pits) if you’re totally down with looking after your underarms in the same way as you look after your face, or limbs, or hair or hands? Me too! Read my previous post all about the new and improved Dove antiperspirant here. 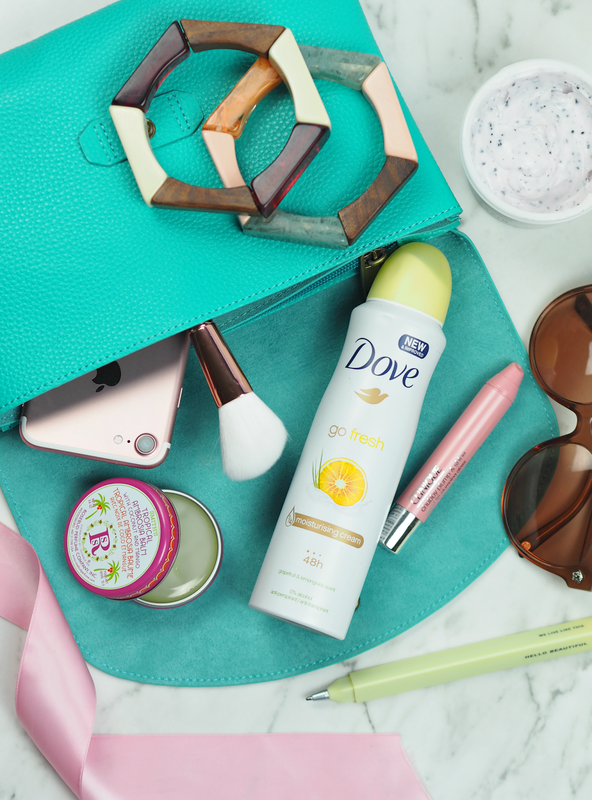 Don’t forget to enter the competition to WIN £250 of high street shopping vouchers and the entire Dove antiperspirant range! 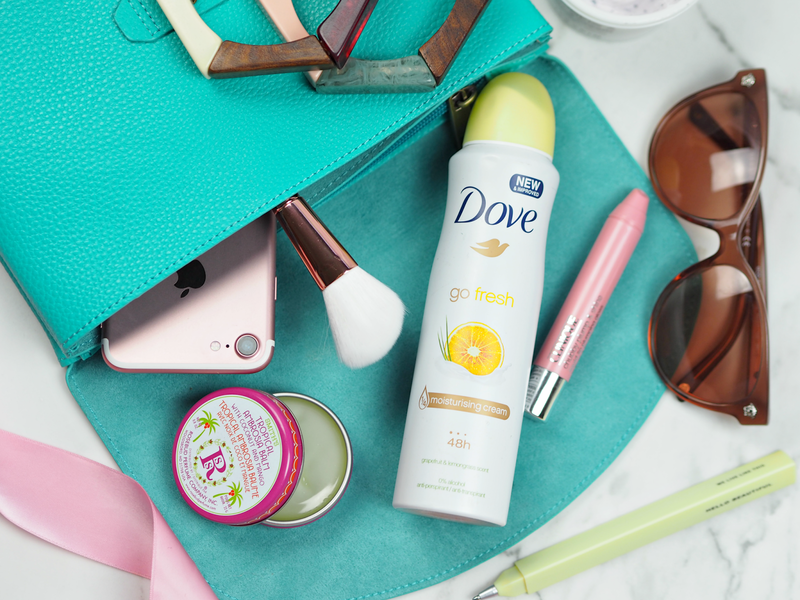 Dove’s new and improved anti-perspirants are available now, priced from around £2.30. Discover more on their website here. This is a sponsored post in partnership with Dove; all opinions are my own and I’ve used the Dove deodorants for more than a decade. They're definitely an area we don't think twice about – but actually they're really important to look after. They work hard; especially in this heat! Interesting post, is this deodorant also aluminium free? Paraben free? If our underarms help us rid the body of toxins why should we then spray it with one? Why should we clog our pores and our skin? Oh, the irony! Love you btw, Dove not so much. It's paraben free (parabens are only used to stabilize and maintain water based cosmetics) but it does contain aluminium chlorohydrate – which is a combination of salts that's the most commonly used ingredient for anti-perspirant qualities. I've done my own research and The International Journal of Fertility and Women's Medicine found no evidence that this increased the risk of cancer or associated illnesses. My personal belief and choice is that we should look after this area of our body, but also I don't want to walk around in discomfort and with body odour from refusing to use anti-perspirants. Beauty is about choice and whatever works for you; empowerment comes from knowledge and the ability to make decisions that are the best for your personal circumstances. I am raising my arm, I need to look after my arm pits a lot better than I do and try Dove. My skin in this area isn't nice and need some looking after. I love the idea of an armpit mask, never even heard of it before!